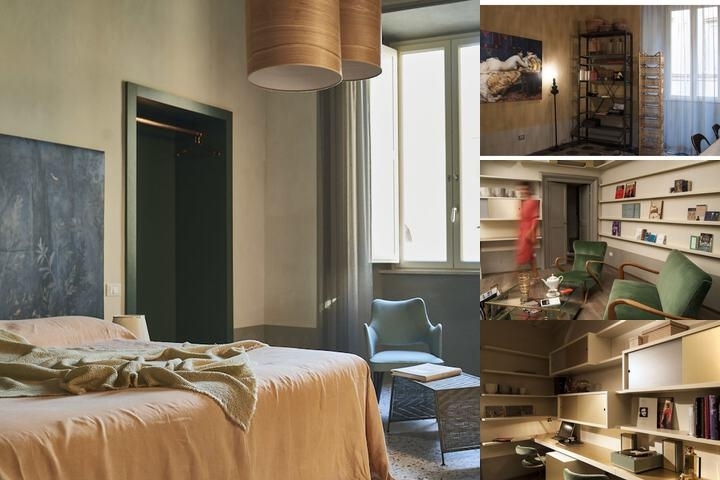 The apartments in the very heart of Rome offer all the comforts and services one might expect in the best hotels in town, to which we add informal and unusual treats, tailored to our guests' requirements. Each apartment has a different aesthetic feel and lay out, the flats have their own very strong yet functional personality and appeal, and the guest will get the feeling they've made a choice by staying here, they'll have the impression of living in their own home. The six apartments all have dining spaces and open kitchens, supplied with a selection of cooking materials. On awakening, you will be provided with fresh supplies for your breakfast. The apartments have been completed with the inclusion of a few vintage items from the 50's to the 70's, with a very strong and specific identity, designed for the kind of comfort and convenience a stay away from home calls for. Most of them are equipped with a Turkish bath, one has a shower and tub, while one has a sauna. Some of the units can be joined, creating four person apartments. Cancellation are possible within 7 days before the arrival day. For late cancellation or no show 100% as penalty. Below are the meeting, banquet, conference and event spaces at Casacau. Feel free to use the Casacau meeting space capacities chart below to help in your event planning. Hotel Planner specializes in Rome event planning for sleeping rooms and meeting space for corporate events, weddings, parties, conventions, negotiated rates and trade shows. 6 x 4 x 5 M.
10 x 5 x 6 M.